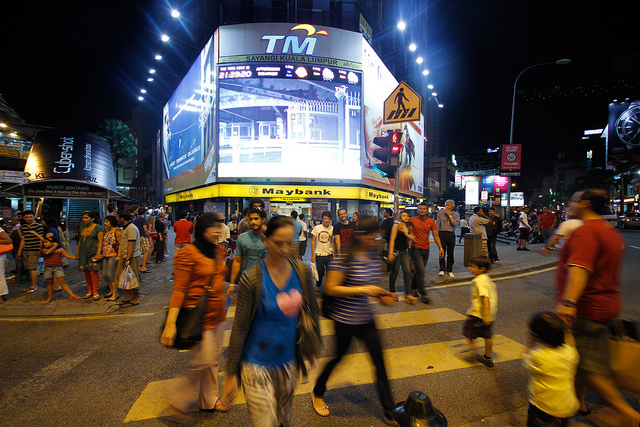 Can multiparty democracy work in multiethnic Malaysia? On 9 May, Malaysia’s political canvas was redrawn with a single election. 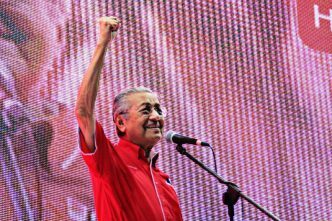 By returning the 92-year-old Mahathir Mohamad to the job of prime minister, voters ended 61 years of uninterrupted rule by the United Malays National Organisation (UMNO). Within days, the ousted incumbent, Najib Razak, was under investigation for corruption, and the long-jailed opposition leader, Anwar Ibrahim, was back in politics. Astonishingly, no blood was spilled in this ‘silent revolution’. While that might seem like a low bar, the lack of violence is noteworthy in a country split along religious, ethnic and linguistic lines. But while Malaysians continue to celebrate their peaceful democratic transition, a key question remains: Can multiparty democracy flourish in such a divided society? UMNO led Malaysia with a vision of empowering ethnic-majority Malays. 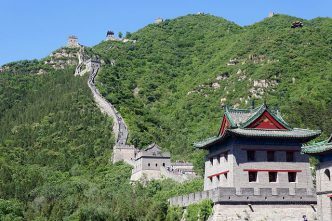 It went on to form a centrist bloc with ethnic Chinese and Indian minority parties and negotiated the country’s independence from Britain in 1957. Paradoxically, by monopolising the centrist position, the UMNO-led coalition soon became vulnerable to electoral attacks by Malay- and non-Malay–based opposition. By the 1969 election, UMNO’s status as the sole political representative of Malays was threatened. The first-past-the-post electoral system concealed the exodus of numerous Malay voters from the UMNO-led coalition to the Malaysian Islamic Party (PAS). Meanwhile, despite failing to increase their overall level of support, Chinese-based opposition parties increased their seat count, as the system rewarded them for better electoral coordination. 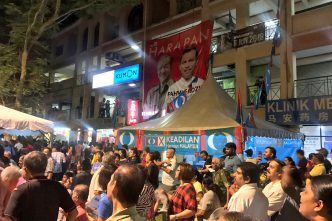 The election outcome distorted the actual electoral swing and fuelled Malay fears that their political dominance through UMNO had been weakened. As a result, ethnic riots erupted, effectively ending the country’s brief experiment with multiparty democracy. Into this void rose Abdul Razak Hussein, Najib’s father, who restored UMNO’s hegemony by strengthening privileges for ethnic Malays and luring opposition parties—including PAS—into a new coalition, called the National Front (BN). While Abdul Razak permitted elections to gain a patina of legitimacy, his nods to democracy were largely window dressing. But even a virtual one-party state could not contain the agenda-setting power of a hardened opposition, namely PAS, which lost its home base, Kelantan, to UMNO after eight years of political cohabitation. UMNO’s call for ‘Malay unity’ rendered all Malay-based opposition parties illegitimate by default, and PAS responded with a powerful narrative of Muslim nationalism. The cleric Hadi Awang—the current president of PAS—argued in 1981 that the UMNO-led coalition should be denounced for ‘perpetuating the colonial constitution, infidel laws and pre-Islamic rules’. That was the year Mahathir came to power (he first served as prime minister from July 1981 until October 2003). He responded to PAS’s challenge by building up Islamic universities, banking systems and bureaucracy, but he opposed the expansion of Sharia law, drawing a line between modernist and conservative strands of Islam. UMNO’s repression of the opposition has had the unintended consequence that the party gradually had to abandon its secular-nationalist politics and enter an Islamisation race with PAS. Eventually, conservatives gained, and by 2013, 86% of Malaysian Muslims supported making Sharia the basis of official law. After surviving a near-miss in the 2013 poll, Najib enticed PAS to revive its Sharia expansion agenda in Kelantan, where it had regained control in 1990. This led PAS to break with the opposition and seek to siphon votes from Mahathir’s new coalition, Pakatan Harapan (PH). But, as the recent election results make clear, Najib and PAS miscalculated. Although PAS prevailed in Kelantan and Terengganu states, it was nearly wiped out on the mainland’s west coast. Still, even today, it would be a mistake to view the PH victory as a sign of political consolidation. On the contrary, PAS remains a viable opposition force and will continue to push for the expansion of Sharia. Moreover, Islamism is not the only challenge to Mahathir’s new coalition. Regional nationalism is gaining strength in the secular Borneo states. Smaller BN parties in Sabah have quit the bloc to challenge PH’s local ally, while their counterparts in neighbouring Sarawak are contemplating doing the same. In fact, post-election popularity aside, PH is far weaker than it appears. After all, it won only a simple majority; once opposition partyies finish licking their wounds from this month’s results, new alliances may pressure the incumbents from all sides. Despite this, there is no doubt that Malaysia’s democracy has arrived at an important juncture. As a new dawn breaks on Malaysia’s political landscape, the country must seize this opportunity to establish a viable model for multiparty competition, where politicians can lead on national issues rather than pander to religious, ethnic or regional constituencies. To that end, Mahathir should move to tackle the root causes of radicalisation with economic and political inducements. 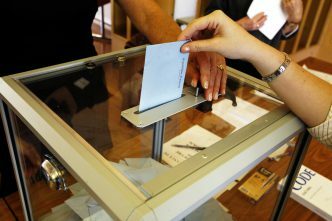 The current winner-takes-all electoral system tends to favour regional opposition parties that are identity-driven and not prone to political compromise. For this reason, Malaysia should consider a German-like model of proportional representation grounded in vibrant federalism, which would encourage the post-election formation of coalitions based on moderation. Malaysia has every reason to celebrate, as the peaceful return to multiparty democracy is indeed a milestone in the country’s political evolution. And yet, as Malaysia’s history has shown, no good government lasts without a good opposition. Building a framework that allows dissenting voices to be heard, and heeded, must be Malaysia’s highest priority. Wong Chin-Huat is a political scientist at the Penang Institute in Malaysia. This article is presented in partnership with Project Syndicate © 2018. Image courtesy Asian Development Bank via Flickr. Can America meet the China challenge in Southeast Asia? Political tsunami or musical chairs? Will Malaysia’s Islamisation change course?